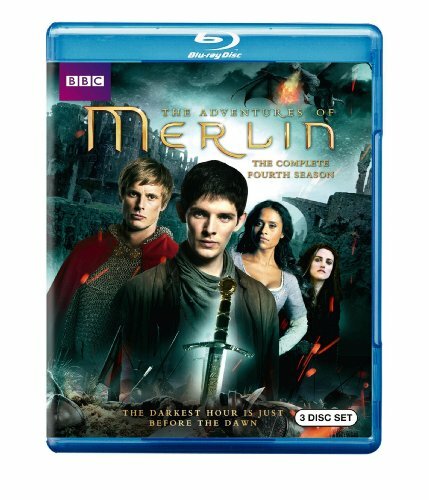 Order ‘Merlin: The Complete Fourth Season [Blu-ray],’ available from Amazon.com by clicking on the DVD cover above! Merlin exists to protect Prince Arthur, the young Pendragon, until he becomes king and magic is returned to the realm. Life in the days before Camelot were complicated that way. Today I’m joined by Bradley James, the young man who plays Arthur, the future king of the realm, on the Syfy series, “Merlin.” The show—which aired last summer on NBC—is back with 13 new episodes beginning April 2 at 10 p.m. on SyFy. James is a relative newcomer to television, but his good looks and natural athleticism quickly made him a popular star of genre TV. Do you believe in the power of miracles? 20/20 anchor Elizabeth Vargas hopes so!